Hollywood in the morning. 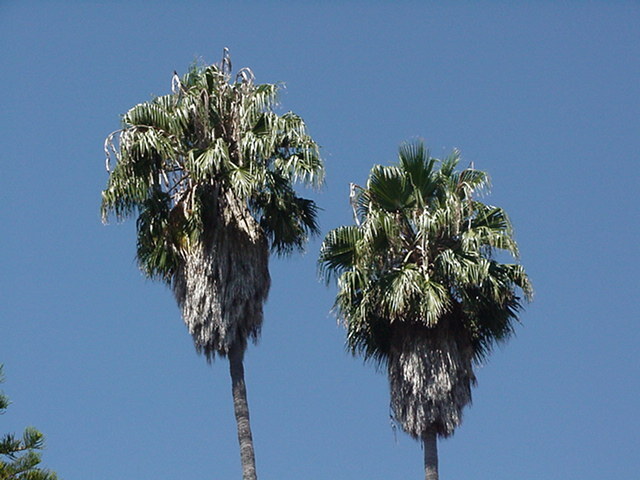 Two palms in an impossibly blue sky. 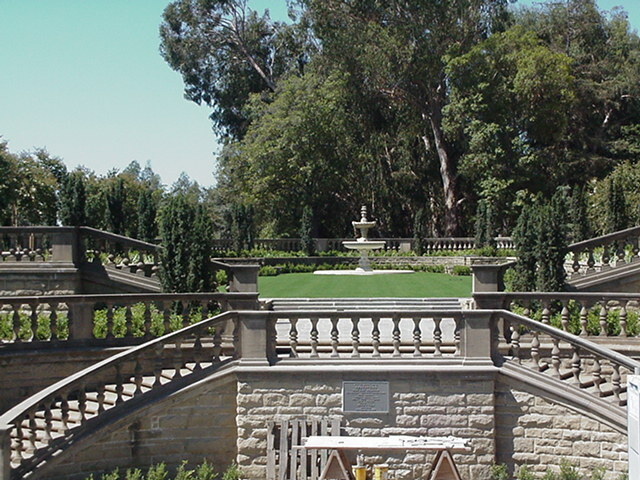 Well, if one doesn't get to Versailles, there is always Greystone Park in Beverly Hills for your basic formal gardens. Los Angeles does a pretty good imitation of Europe. We have a shopping center down the hill, Beverly Center, which looks very much like the Renzo Piano Centre National d'Art et de Culture Georges Pompidou (the Beaubourg) in Paris. And the new Disney Hall Frank Gehry is building downtown to house the Los Angeles Philharmonic looks like a variation on his Guggenheim Museum in Bilbao, Spain from a few years ago. Of course, one has to drive five hours to Las Vegas for the half-scale Eiffel Tower. But these gardens are just down the way, a few blocks off Sunset. 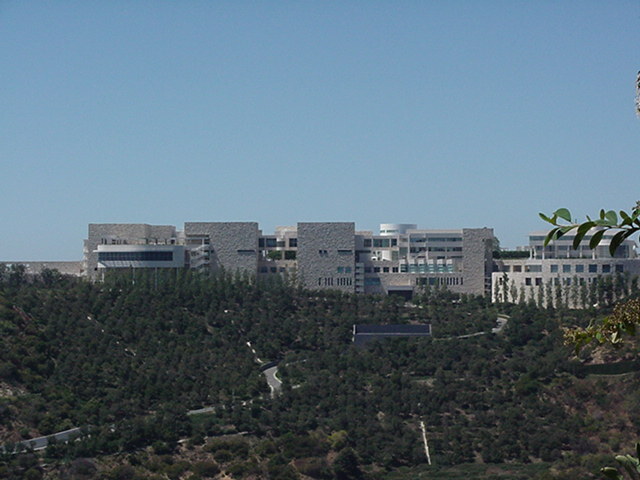 When the folks out here in Los Angeles cannot build an ersatz European garden or building, all the other stuff collected from Europe ends up in the big, fairly new museum on the hill above Brentwood, the Getty Center. As museums go, this one may look exceptionally graceless and industrial, but the views of the Pacific are wonderful from up there, and once inside it is rather pleasant. 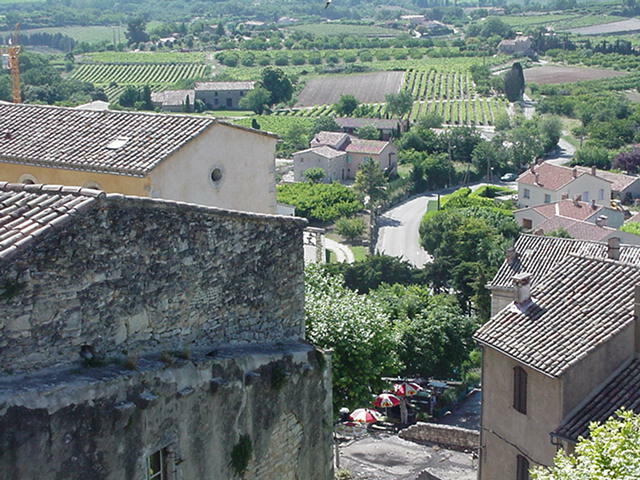 But this is summer in Provence, somewhere north of Aix and south of Gordes. Very picturesque. As in many a Hollywood film. Meg Ryan and Kevin Kline in French Kiss on their way from Paris to Cannes in places like this.... Awful film. Pretty scenery. 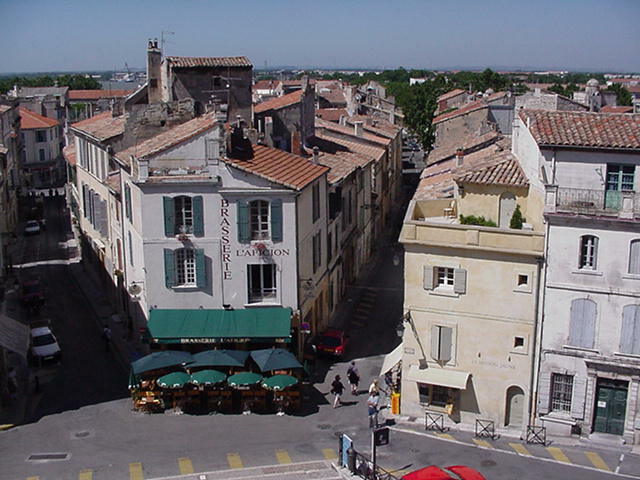 It is far too hot to sit ouside at any café here in Los Angeles, and it seems the same is so in Arles. Looks empty, doesn't it? This is the kind of summer afternoon where Van Gogh would be napping in the shade, and not painting anything in this neighborhood, or being surly in this sort of café. But this was his turf, of course, way back in 1888 or so. 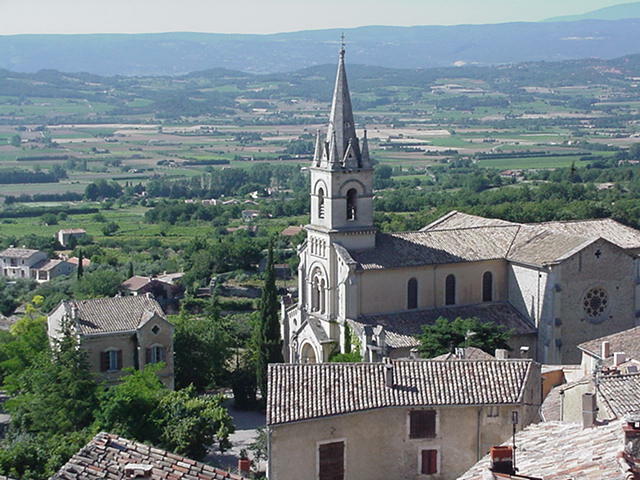 And in that silly movie Lust for Life - where Kirk Douglas was Van Gogh and Anthony Quinn was Gauguin - this was the neighborhood where Arles met Hollywood.